Let’s you and me warm up with some cozy winter meals. 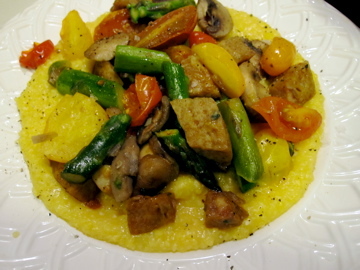 I am rounding up a few of my go-to warm recipes that I find myself craving again and again. 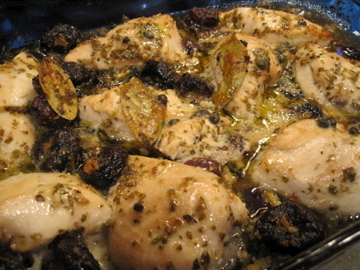 Chicken Marbella: This chicken never fails to please…makes the house smell so cozy! 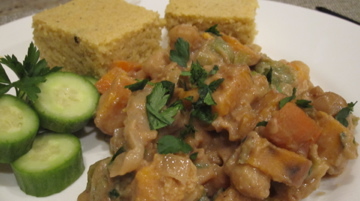 African G-Nut Stew: Savory recipes that call for peanut butter make me swoon. 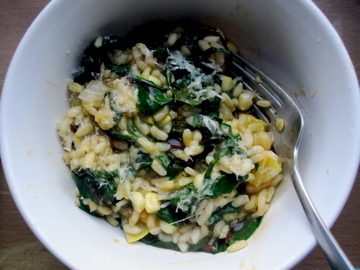 Green n’ Yellow Risotto: Nothing screams warmth like a piping hot bowl of creamy risotto. Lasagna! 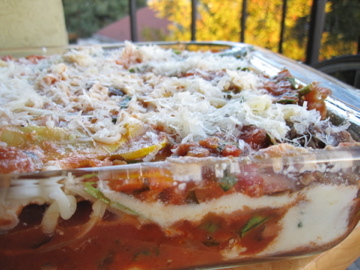 Layered pasta filled with veggies, basil, and ricotta. With a touch of fresh nutmeg for good measure. 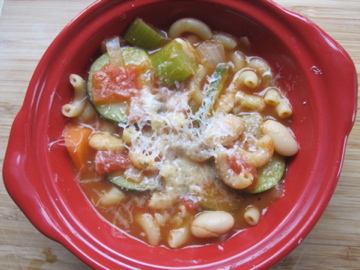 Minestrone Soup. Warm broth, hearty beans, crusty bread. 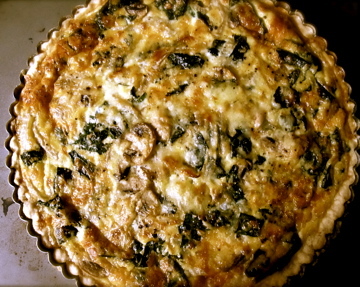 Quiche. The savory pie that can be eaten morning, noon, or night. Get your ovens preheating and your stove-tops flaming because it is time to warm things up for the cold winter ahead of us.